“Visibly Invisible,” a two-hour program to explore the complex roles that black women have within their own communities and an event to honor several women who are positive role models at home and the world at large, is the title for the next “We Can Listen” series at the Old Church Concert Hall, 1422 S.W. 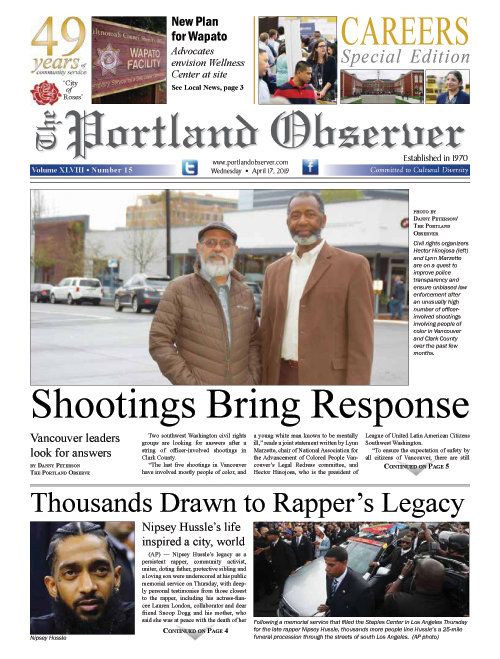 11th Ave.
Shalonda Menefee, a Portland entrepreneur, creative healer, designer and community champion, has produced the event, scheduled for Tuesday, April10 from 7 pm. to 9 p.m.
Menefee has a deep passion for helping others live up to their full potential and has been committed to empowering women and youth in her community for over 15 years. As a result, she has developed programs, curriculum, workshops, service and products that promote self-care, spiritual healing and empowerment. The program will also feature a photography and clothing design presentation featuring Africa inspired prints that exemplify a strong connection to culture and heritage. The session will be moderated by Grammy-nominated local recording artist and theatrical performer Julianne R. Johnson. Reserve seats online at visiblyinvisible.bpt.me.